Paper grocery bags are made from a renewable sustainable resource to balance cost and performance that protects your bottom line, brand image and service reputation. Thick paper construction reduces the need for double bagging and lets you carry items with confidence. Plus, its tall design and wide opening allow more items to be placed in the bag than plastic bags. 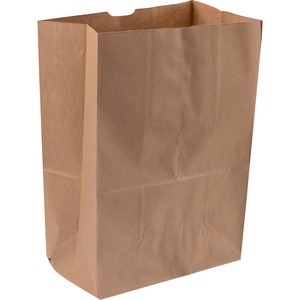 Paper bags are perfect for supermarkets, retail industries, pharmacies and more.